It is recommended that you always refer to the state in order to receive all the current requirements regarding obtaining and keeping your CDL license before enrolling in any school. Requires that if you hold a CDL license in Missouri that you will comply with all national motor carrier safety regulations. You need to have your commercial license permit for 14 days before you can take our skills driving test for your CDL license. The new law states that you your learning permit will only be valid for 180 days. You’ll need to first pass a knowledge test. This test covers air brakes, hazardous materials and tanker test and shows you are proficient in these areas. 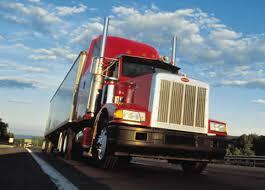 Depending on the class of CDL license you want to receive the test will cover different areas. Once you pass the knowledge test you’ll need to take the skills test. The first skill test will cover vehicle inspection. You’ll need to be able to show the test reviewer that you have full knowledge of how to keep your vehicle safe including a pre-trip inspection. The next step is to show you can drive the vehicle including how to turn, backup up, change lanes and more. Once this step is passed you’ll take a test where you go out on the open-road with your instructor. This will simulate what it would be like hauling and driving a truck in a real-world environment. Class A – If you receive your Class A license you can haul a combined GCWR of weight of 26,001lbs.or higher. Class B – This is a single vehicle license where the vehicle can be 26,001lbs or higher, but you can’t tow anything over 10,000 lbs. Class C – A license to drive a single vehicle of less than 26,001 lbs. but no towing. You can lose your CDL license in Missouri for a year if you are convicted of a DUI, refusing to take an alcohol or drug test or leave the scene of a crime or accident involving a CMV. You can take extra endorsements which will allow you to drive certain types of commercial vehicles or haul different types of cargo. The S endorsement allows you to drive a bus, the H endorsement allow you to haul hazardous materials, the N endorsement is for tank vehicles, P endorsement is for passengers (such as commercial busses) and a T endorsement is to haul double or even triple trailers. Some of these tests are written knowledge tests only where some will require you to take a driving test. You will need to pass a background check and be fingerprinted in order to comply with the US patriot Act. If you are seeking an H endorsement which is to haul hazardous materials you will not be able to earn if you have been convicted of any of the following: Extortion, Espionage, Murder, any Terrorism charges, Smuggling, Arson or Treason. Some of the top schools are located in: Saint Louis, Springfield, Columbia, Independence, Jefferson City, Kansas City, Liberty and Joplin. You are not able to obtain your CDL license from an online school. Missouri has over 30 truck driving schools to choose from, not including community colleges. Overall these vocational truck driving schools have a combined 75% acceptance rate into their programs. The average tuition cost range from $8500 to $14,750 depending on the license you want to receive and the length of the training program. Even if you have never even sat behind the 18 wheeler that is ok. In fact most of the time nobody in your class has any truck driving experience. Training Time – Most truck driving schools in Missouri will be able to teach you how to drive a truck in 3-4 weeks. Program Trainers – Look for a school where your instructors are either current truck drivers or have years of experience on the open-road. It is also a good idea to find out the student to instructor ratio in order to get more one-on-one attention from your instructor. Graduate Placement – Talk with your school before enrolling to help determine what type of trucking career you are interested in. Many of the schools will already have jobs ready for you after graduation since they work with local trucking companies who hire their graduates. Scholarships – Many of the schools offer scholarships as well as federal financial aid to help you pay for your training. It is recommended that you try to pay for as much as you can on your own as anything you borrow will usually have a pretty high interest rate.